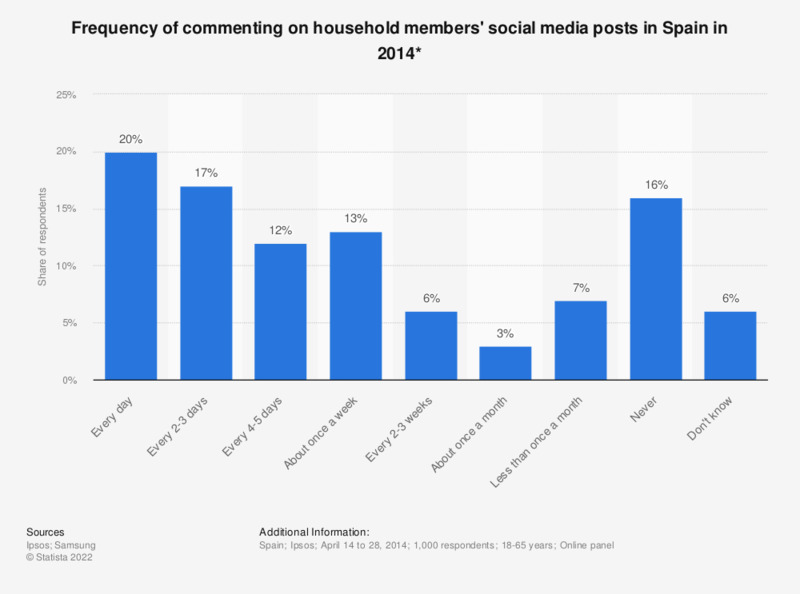 This statistic illustrates how often people in Spain commented on social media posts from other household members in 2014. It reveals that 20 percent of respondents commented on a social media post from another household member every day. Whilst 16 percent never did. * The original survey question was: "How often, if at all, does each of the following take place within your household? -- Comment or respond to each other's social media posts or statuses."